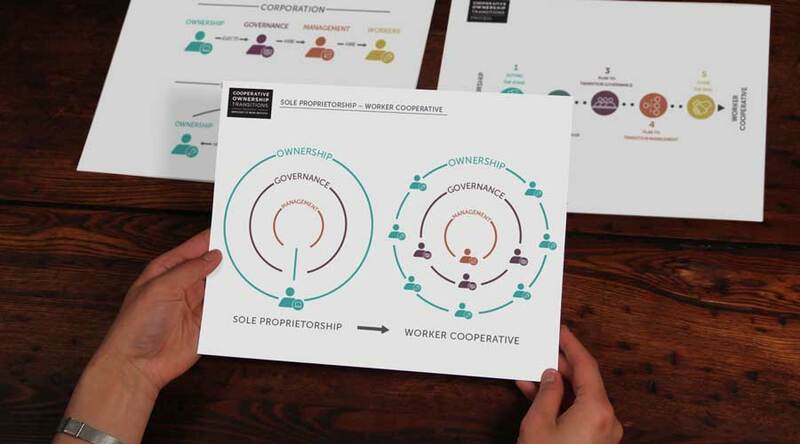 Explaining the worker cooperative transition process through educational collateral. The Democracy at Work Institute (DAWI) aids companies in transitioning to cooperative models. 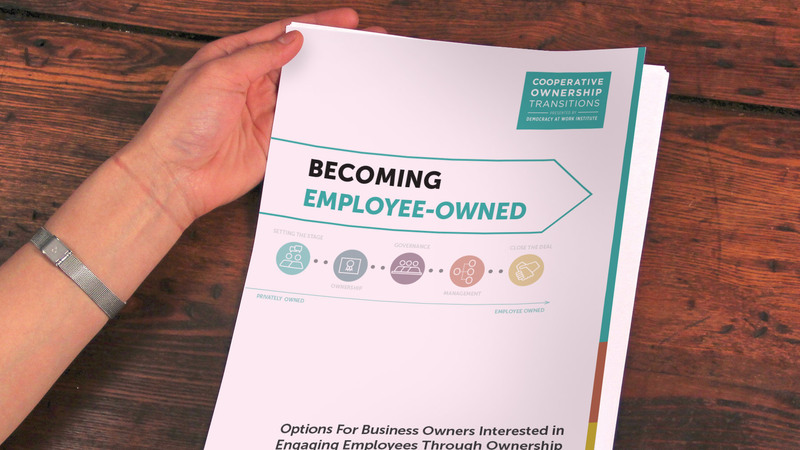 In summer 2015, DAWI solicited TYTHEdesign to support the development of a new campaign to detail the steps to employee ownership. 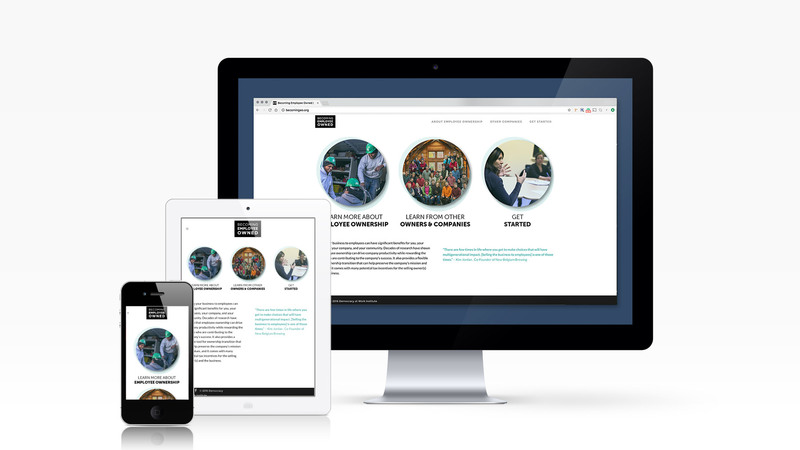 TYTHE worked with DAWI staff to develop a website presenting findings from the study and providing actionable information to support target audience. To illustrate the key findings and link data from each of the five cities featured in the study, TYTHE designed a set of graphics and diagrams using DAWI’s existing brand identity. The website itself was designed to highlight key components of the report, be easily navigable, and augment findings with resources for action. Deliverables included a website, branding, forms, brochures, letterheads, and diagrams intended to provide the client with flexibility as they embarked on their new campaign. The website serves as an outlet for owners and workers alike to explore potential cooperative models. As Becoming Employee Owned initiatives change and expand, the site and accompanying materials are primed to adapt to the campaign’s existing criteria. The website consolidates resources for those new and old to the DAWI community, building their capacity for an enduring presence and greater recognition in the sector and beyond.